Install a free or premium dedicated plugin for this. 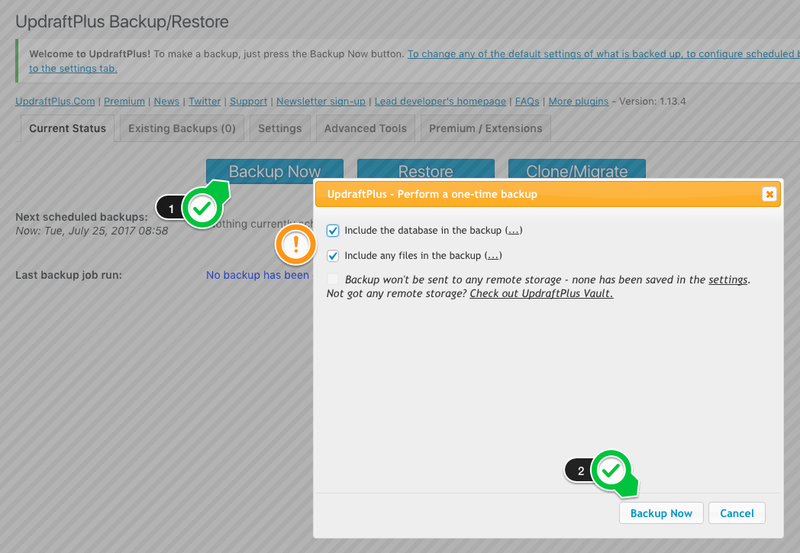 The present article will use for example the UpdraftPlus WordPress backup plugin. Do not proceed to any other WordPress process until the backup is finished. Check the last log message to see if there were errors on backup. When making a WordPress backup, don't forget that besides the server files, is very important to save the WordPress database too. This way, in the case something will go wrong, you will have always a roll-back point.